New users are added through the settings of the organization. Open the settings by clicking on "Organization Settings"
Right after selecting the organization settings, the existing members of the organization are listed. By clicking on "Invite New Member" you can choose between different user roles for new users. There are three different user roles: Administrator, Member and Guest. While an administrator can change all the settings of the organization and use all features, a member may only use the functions of the organization and start new direct messages. A guest on the other hand has only access to the data rooms, to which he was added. 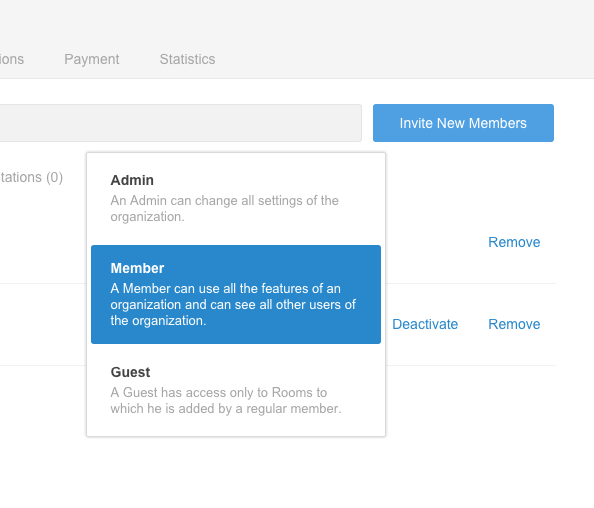 All other features of an organization, such as the dashboard or default rooms, are not available for guests. Each user is added with a specific user role to an organization. 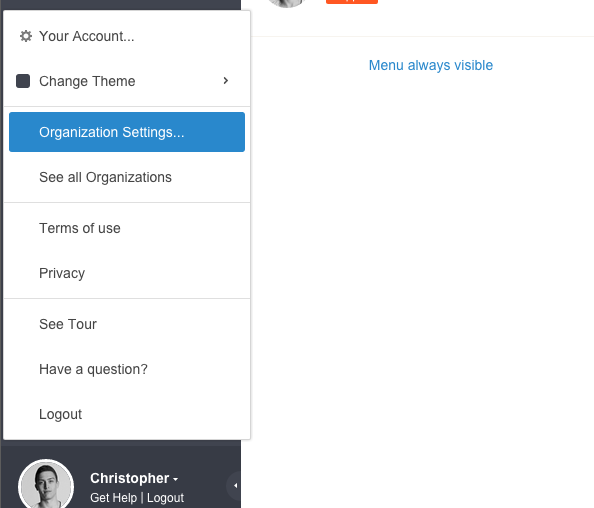 Use the search to add existing users to your organization. 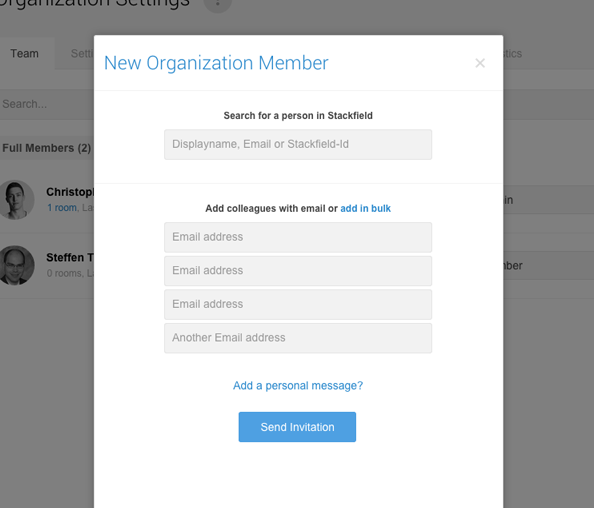 If a person has not created an account on Stackfield yet, it's possible to send directly an invitation to the e-mail address. Once the invited user accepts the invitation, he will be added to the organization. Add users in bulk for a quick data import.